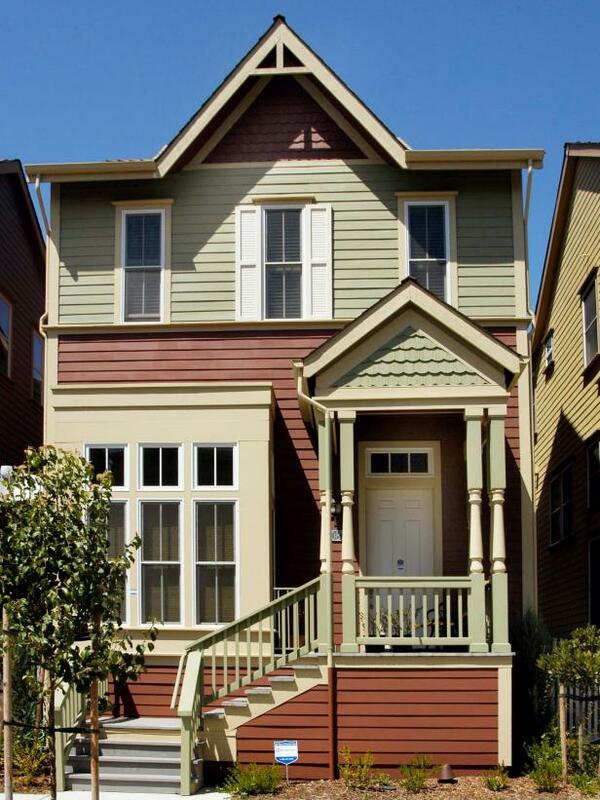 Alternating green and burgundy siding creates dramatic curb appeal in this Victorian home. The historic Nathan P. Howell house in Sag Harbor, NY was originally built in 1833. Loving restoration has maintained its beautiful original details. 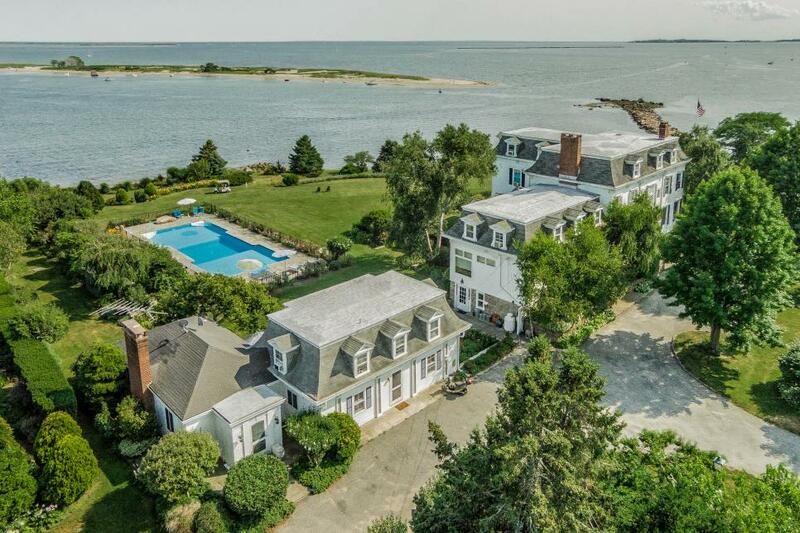 Spanning nearly half a mile of pristine New England shoreline, this extraordinary Victorian-era compound includes an elegant manor house, two guest houses and beautiful English gardens. 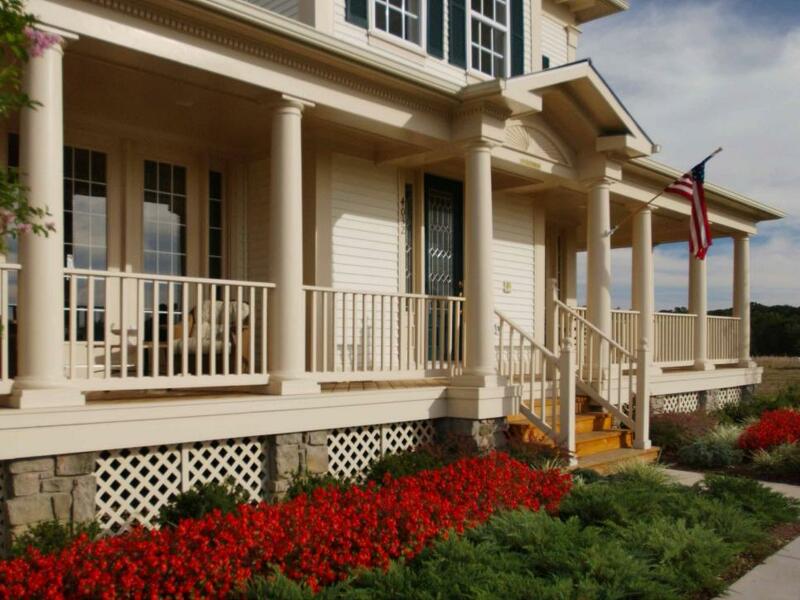 A wraparound neutral porch contrasts beautifully with bright red flowers in this updated Victorian home. 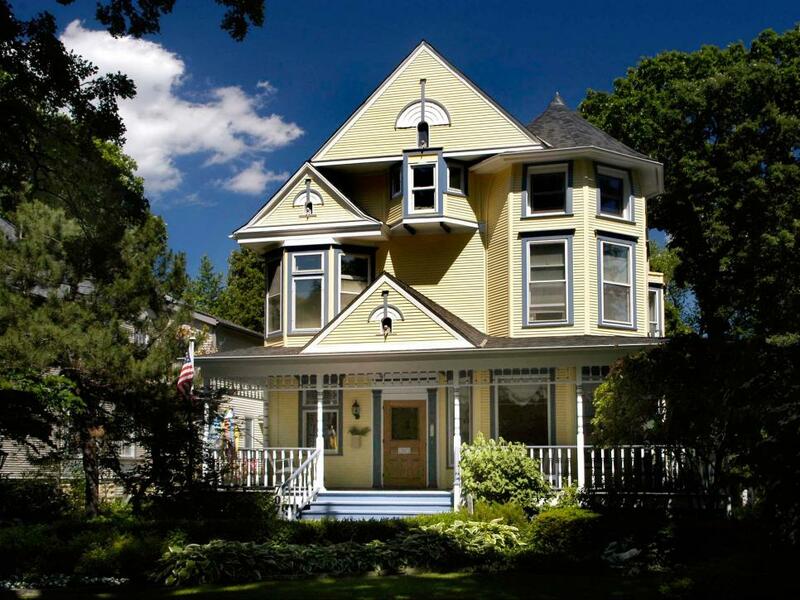 This gorgeous Queen Anne style Victorian home on a wooded lot boasts lots of windows for a bright interior. 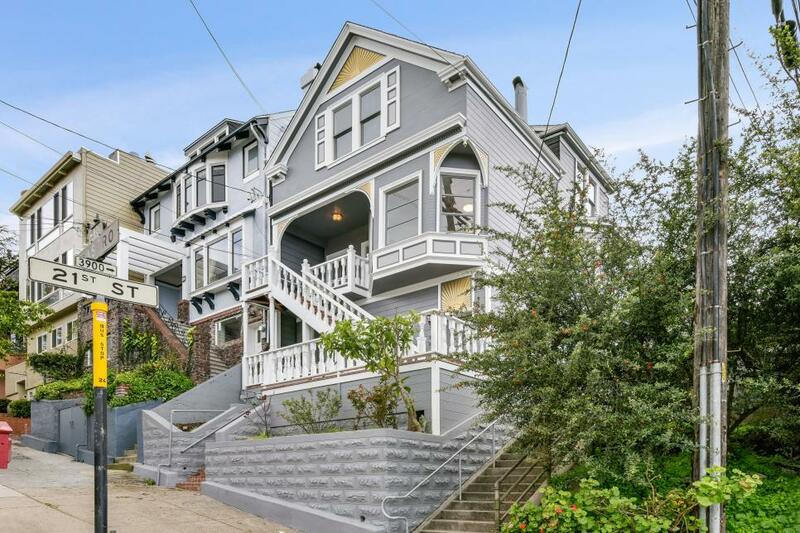 This beautiful Queen Anne home in San Francisco is a design showcase. 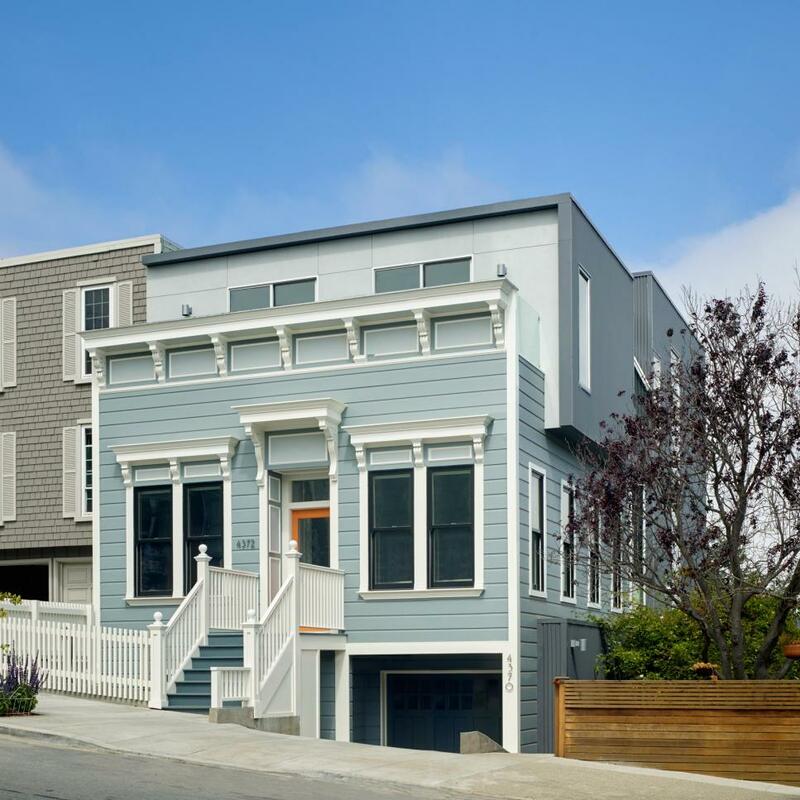 Its Victorian facade hides a sleek modern interior made up of three floors and five bedrooms. 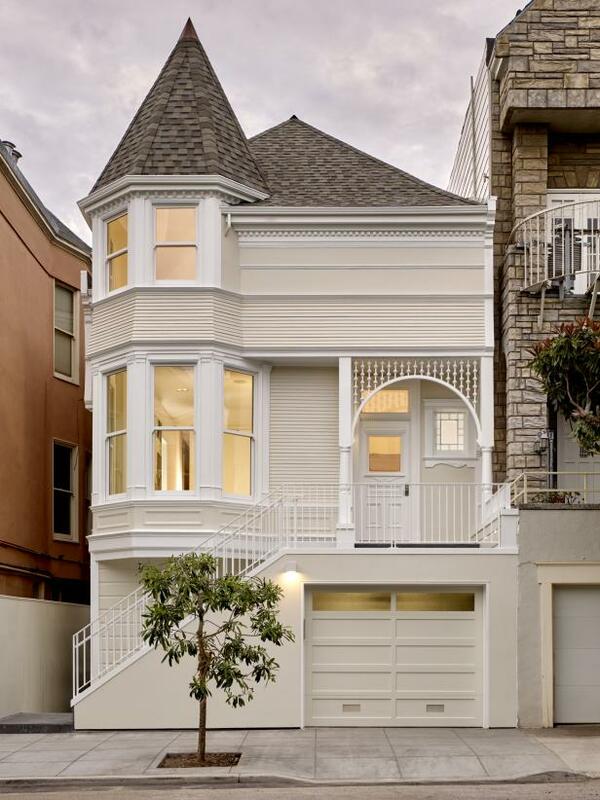 This classic Victorian lovely in the Dolores Heights neighborhood of San Francisco is a just-right amount of cozy with two bedrooms, two bathrooms and so much architectural charm. 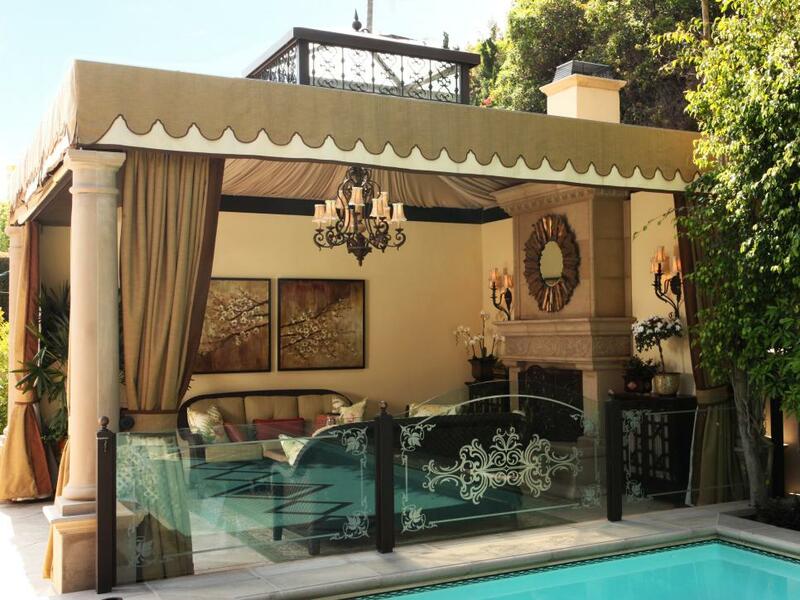 A swimming pool features an adjacent Victorian style outdoor living room. 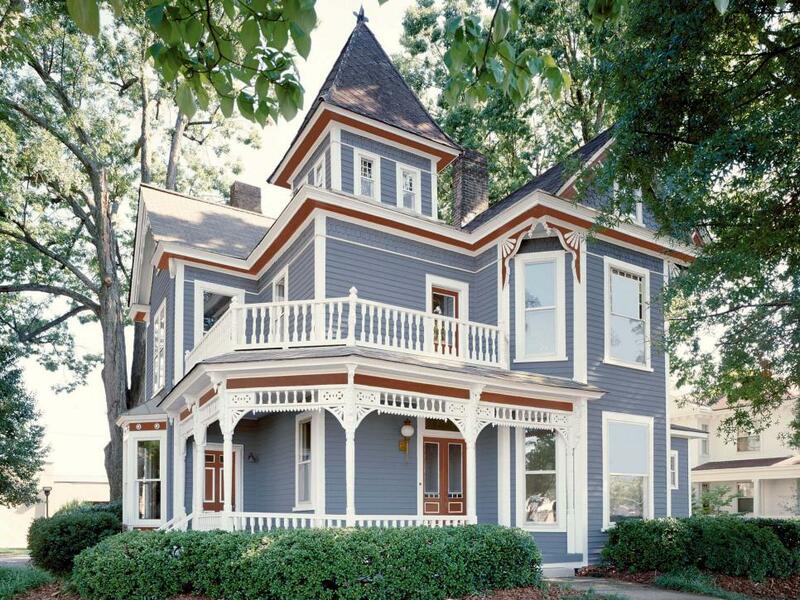 This home was professionally painted using BEHR Victorian exterior paints, featuring the following colors: Skipper, Divine Pleasure and Burnished Mahogany. The client’s fascination with the colors and detail of period Victorian homes was the impetus for this more modern interpretation of a Second Empire Victorian. 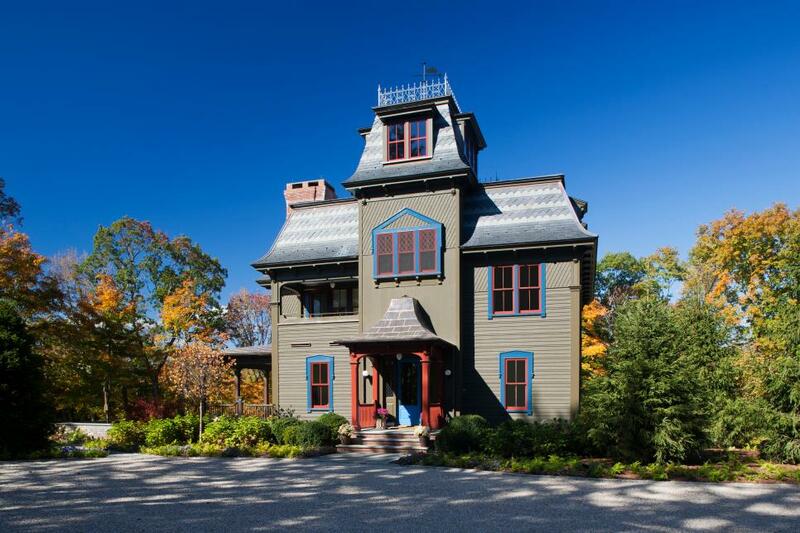 The client always loved the style of the house from the "Adams Family" television show. 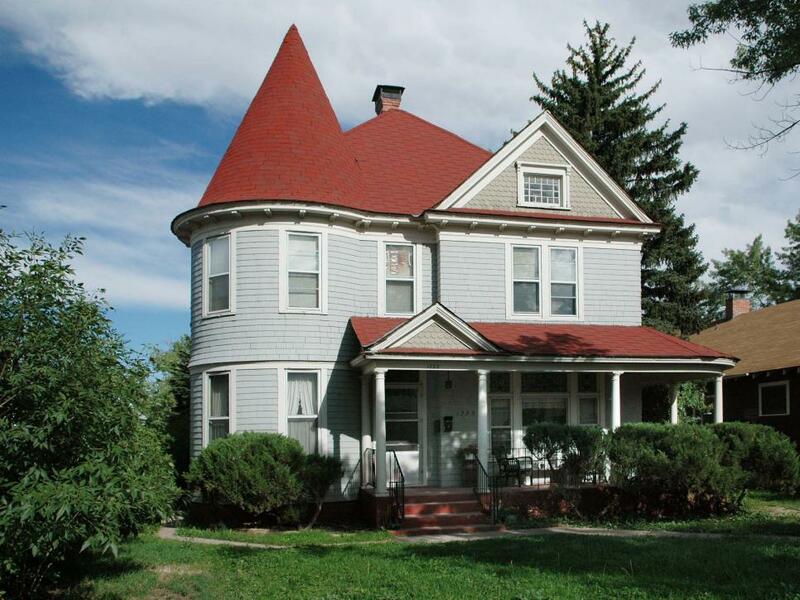 This simple Victorian home features a turret and cedar shakes painted in gray tones which harmonize well with the red roof. 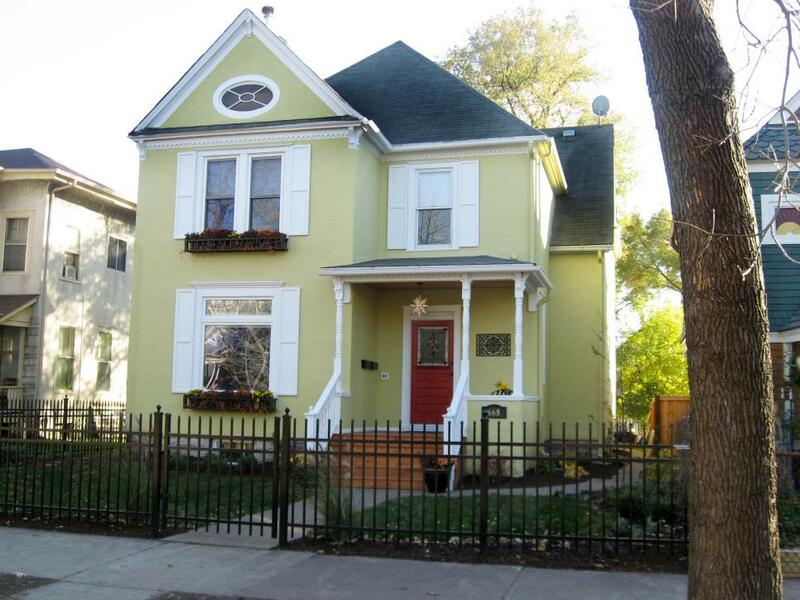 This yellow Victorian home gets a touch of whimsy with a fire engine red front door and star porch light. Wood front steps tie in with the wood fence just around the side of the house. 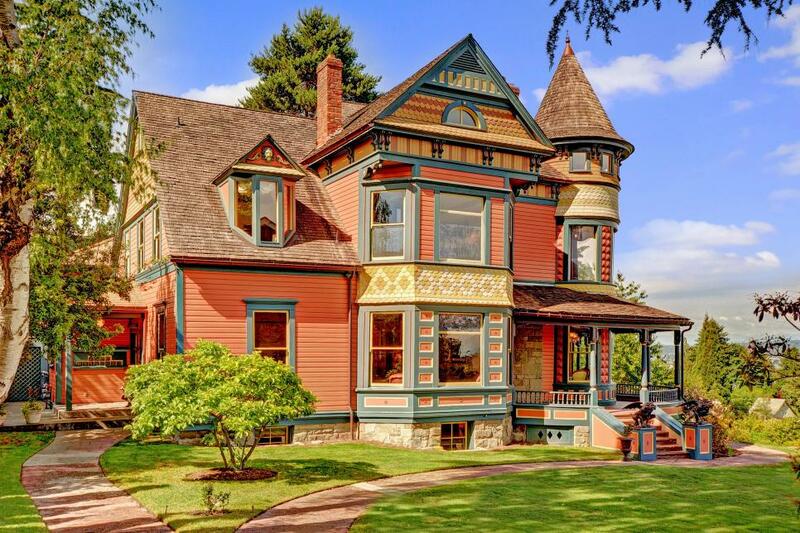 A beautiful example of Queen Anne Victorian architecture, this four bedroom, four bathroom home in Seattle features a cedar shake roof and a mix of wood and stone construction. 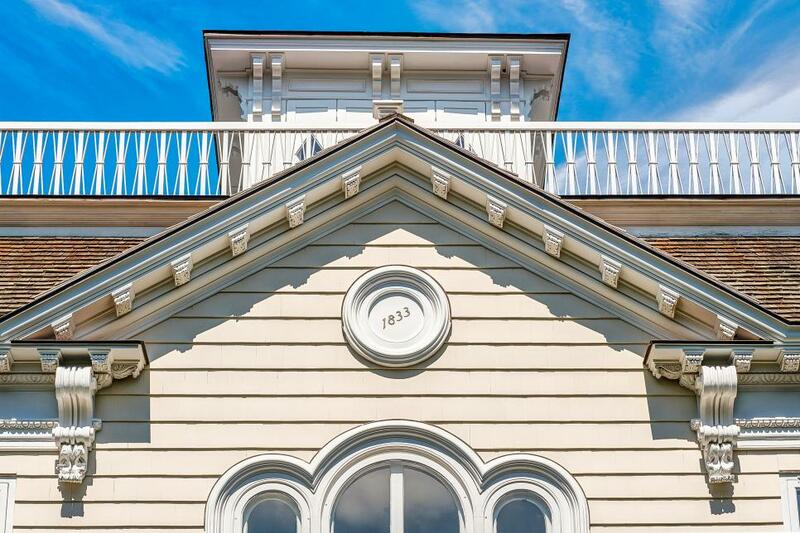 During the renovation, original details were painstakingly preserved; the house is truly an historic landmark. To add on to this carriage Victorian, corrugated steel wrapped the original structure and was used to support a third story. The result is a unique combination of traditional and modern. 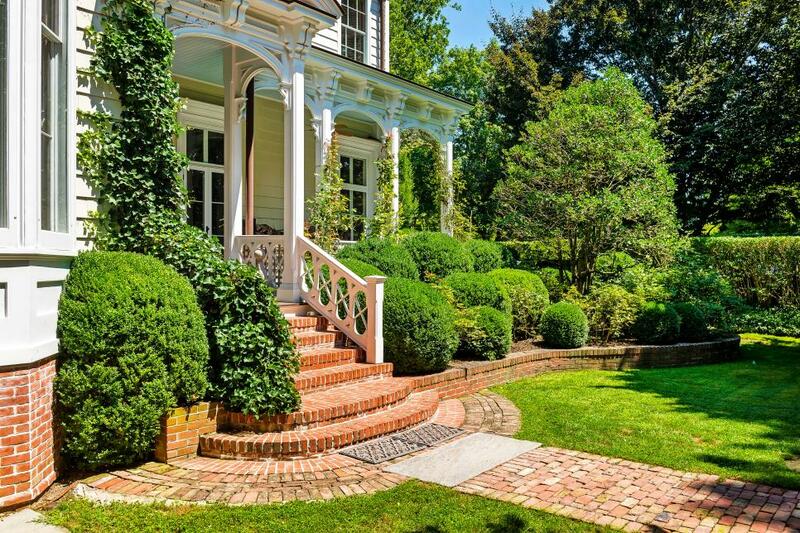 This historic home, originally built in the 1880s, has seven bedrooms, four stories and sits on over an acre of land in Sag Harbor, New York. 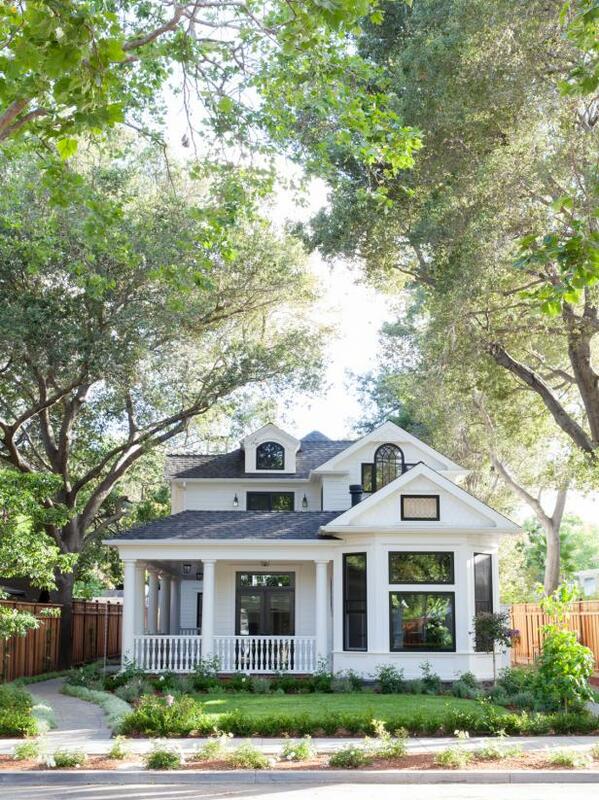 Great care has been taken over the many years of the home's life to protect and restore its beautiful details. 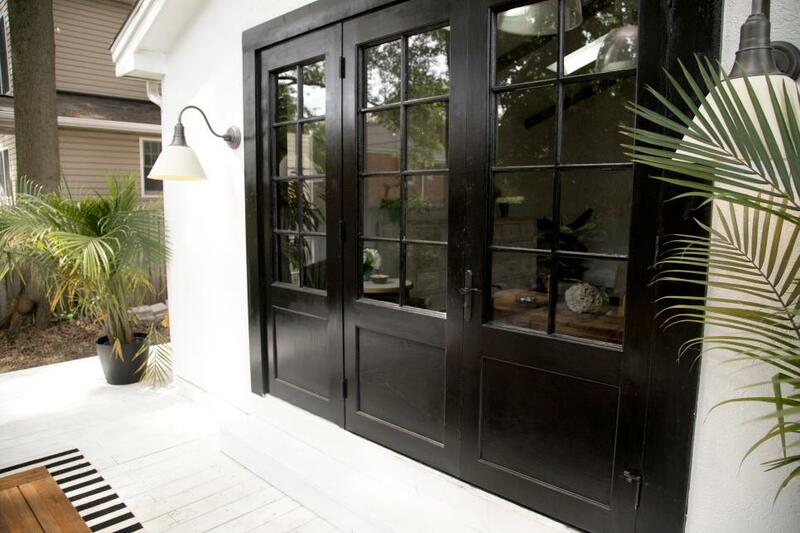 The new French doors that Leanne Ford found for the family room in the traditional Victorian home she is renovating with her brother Steve, as seen on Restored by the Fords. 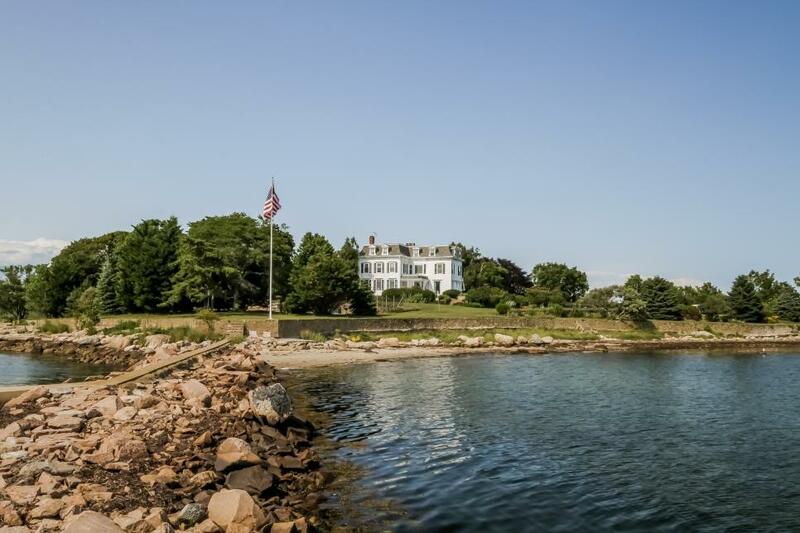 The idyllic waterfront property encompasses 2,500 feet of water frontage, 600 feet of curving sandy beach and a 450-foot breakwater pier with a dock and two moorings.